So this book popped up in my library ordering, and I knew I’d have to read it. 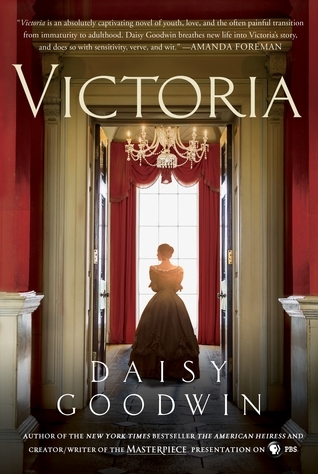 The author, Daisy Goodwin, has created a show for PBS/Masterpiece on Victoria’s early reign coming out in the new year, and this book is a tie-in. It’s definitely not a rehash of The Young Victoria, but it does cover some of the same ground, so you get some additional context. I hopped onto Wikipedia at different points out of curiosity, and found Goodwin got quite a bit right in her story. There’s a new biography about Victoria that recently came out, and I may have to dive into that one to really get a good picture of all the circumstances around the young queen’s early reign. A good bulk of the book focuses on Victoria’s relationship with Lord Melbourne, the prime minister when she was crowned, and her deeply appreciated mentor who guided her along. Not being a scholar on Victoria, I can only surmise from what I’ve read and seen thus far is she was not very well-prepared for the duties and protocols of being queen, and Melbourne turned into a father figure of sorts assisting her as she came into her own. Goodwin portrays their relationship has something deeper than that of father figure/foster daughter and hints at the romantic feelings they may have felt for each other. Victoria was 18 when she took the throne. She had been raised apart from society for the most part due to her mother’s fear that another in the line of succession would try to harm her. So in a sense Victoria was a teenage girl who finally had a chance to rebel. I thought Goodwin did an excellent job of portraying her as such, while still aching to be the kind of queen her country needed and that she wanted to be, and being confronted with so many different forces tugging her in different directions that she clung to the one man she saw as only there to help – Lord M.
Albert figures in later in the book, and I will admit I was a little disappointed with the development of his relationship with Victoria. But since the romance and marriage of Victoria and Albert has been done and redone so many times, Goodwin made the choice to not make it as much of a focus in her novel. However, I still felt like I was reading a nice Regency romance at times (technically inaccurate, I know, since this is *Victorian* times, but you know what I mean), and swooned along with Victoria at not only Lord M, but at all the opportunities Victoria had to spread her wings and find the woman she was destined to be. Definitely recommended for a reader in need of a more light historical fiction. I say, “You got this!” to my library patrons a lot. I run into a lot of folks who don’t know how computers work, or struggle with using a mouse or navigating a website. I give them the opportunity to do it themselves, and stay at their side encouraging them, letting them know they can do this, they have the knowledge. Whatever the task is in front of them, it is not insurmountable. And that’s the basic gist of this compilation of essays from some well-known LDS personalities/speakers, giving words of encouragement aimed at a youth audience. But I wouldn’t restrict it to just the youth. I found a lot of edification in this slim volume. Some of these writers I knew of already, and others I got to know through their stories. And each gave me a little piece of thoughtful wisdom to dwell on and utilize in my life. The essays from the Wilcox family about moving to Chile for a mission president calling, and learning to adjust and thrive, reminded me very much of the time my family moved from the north Virginia suburbs to inner-city Atlanta. We visited what would be our new ward, and found my sister and I would be the only white girls in Young Women. And we didn’t mind that since one of the young women immediately befriended us. We felt welcomed into our new ward, where my dad was eventually made bishop, and all these years later after I moved away it still feels like my home ward. Whitney Wilcox Laycock’s story of living in Chile reminded me that no matter where I am, I can be that welcoming person to someone else. You never really know how big of an impression you may leave on someone for such a seemingly small act. Hank Smith’s breakdown of the story of Joseph of Egypt was pretty much exactly what I needed to hear right now, facing my own trials and hardships. It was a really refreshing take on the scripture story, and I want to seek more of his work out now. Zandra Vranes, who I had the pleasure of seeing at Time Out For Women last year, also touches on the story of Joseph of Egypt in her own unique way. (Clearly there are many things our youth can learn from him!!) Al Carraway delivers a wonderfully essay on perseverance and keeping up with the little things to retain our faith, and recounts her conversion story, which made me want to go back and read her book again because it’s just marvelous. You’ll find a story in this volume that will speak to you. You’ll probably think of someone who needs to read that story as well. Maybe you can do one of those “pay it forward” things with this book. Read it, and then pass it along to someone you think might benefit from these words of encouragement. We could all use these nice pep talks throughout the week. Many thanks for Cedar Fort Publishing for providing a review copy! I have not served an LDS mission. My plan is to serve one day with my spouse. (I have yet to find a spouse, so waiting on the Lord for that one.) But I do appreciate these kinds of “mission prep” books for their simple and down-to-earth stories and advice that are at a young person’s level. And if you have a future missionary in your life, this would make an excellent stocking stuffer (if you’re like me and already making up Christmas shopping lists!). The author frames his “7 truths” around his personal mission experiences. Why this man’s story has not been made into a film already is beyond me. He served in Fiji, for starters, and spent part of that time living in a hut in a village, where he and his companion would have to hunt and cook their own food, and ran into a few occasions when their lives were very literally in danger. And at one point his mission president sanctioned a missionary band! Missions aren’t always going to be that drama-filled, but I love the way the author demonstrates how these kinda crazy experiences showed the Lord’s hand, and how a young person can learn simple lessons from them that can be applied to their own experiences and lives, even after the mission. What makes this book even better for me is how universal it ultimately is. I’m not preparing to go on a mission like the intended audience, but I can use the excellent advice the author offers and expounds on in my everyday life (and maybe one day I’ll get to apply it to a full-time mission). While I’m guessing none of this advice is particularly new or earth-shattering for the average reader (you’ve heard it all in General Conference over the years), it is presented in a way that is fun to read, and easy to digest. It’s not written in a “dumbed down” way that really bothers me with many books aimed at the youth, but in a way that is more at their level, and assumes they want to be treated as an adult. And even those of us not preparing to serve a full-time mission, or already have, can gain some insights – both practical and spiritual – from this relatively light read of a book. I think all of at, at various times in our lives, could use a little help building up our “mental arsenal,” as the author calls it, to keep the Spirit of the gospel burning bright. Give this easily-digestible book a try. It’s a nice little companion for some personal scripture study, prep for a teen getting ready to serve a mission, or anyone who just needs a light church-centered read to get them through the week. 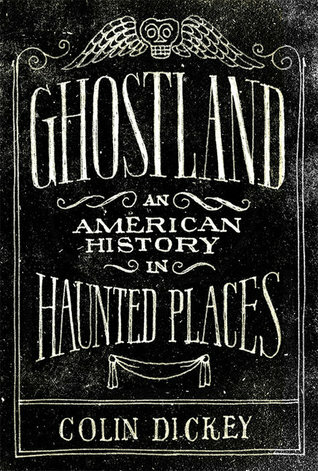 Just in time for Halloween, here’s a fun and intellectual pick not only full of some fascinating ghost stories, but also some fascinating history. The author traveled across the United States seeking out haunted places, and looking into not only the truth behind those stories, but also what those stories say about the people who tell them, the people who believe them, the people who seek them out, and the culture that reveres them. I found myself pretty riveted from the first chapter on. The author doesn’t claim to believe these stories, or convince you to believe them, here merely lays them out with other evidence gathered, and allows you to come to your own conclusions. One chapter I found particularly interesting focused on Civil War ghosts. I am a total Civil War buff and collecting Civil War-era ghost stories is fun for me. It talked about some of the typical type of hauntings around Gettysburg and Shiloh battlefields, and slowly evolved into how the Ku Klux Klan used the idea of ghosts and fear of ghosts to enact their early reign of terror. They would claim to be ghosts of Confederate soldiers out to seek vengeance on hapless former slaves and perform some illusion to make it seem as though they were supernatural to get a scare out of their victims. The author does point out that it’s debatable whether or not the former slaves believed the “ghosts” — they could have been feigning fright to appease the men terrorizing them so they would go away sooner and with minimal damage or violence. What I like about this book is it’s a fun history book. You’re learning history, just through a different (and entertaining) lens. It causes you to think about how we remember our dead, how we treat our ancestors, and what kind of impression we ourselves might leave one day. While you yourself may not believe in ghosts to the extent of others, you might start looking at ghost stories in a different light and discern new things about the people and places involved. (You might also try another book I reviewed last year called American Ghost.) This isn’t a book looking to give you a fright, but it is full of some great stories that could be fun around a campfire as well. Maribeth is a mother, wife, and pretty frazzled magazine editor in New York. Her four-year-old twins are an understandable handful, her job is taxing, and her husband doesn’t quite know how to balance his job with home life. But then again, neither does she. When she’s suddenly hospitalized for a heart attack at age forty-four a lot of other issues suddenly come to a head, and as Maribeth recuperates at home she finds that she is not getting the support she feels she needs to get better, and her life presses down on her. And on a whim she packs a bag and heads to Penn Station. She runs away. It’s a delicate thing, when YA authors attempt adult novels. 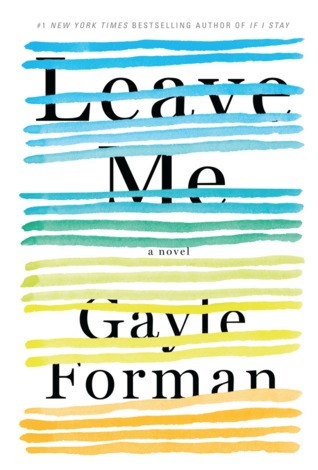 Gayle Forman is perhaps most well known for her book If I Stay, which made me weep. I enjoy a number of YA writers, but I approach their adult books tepidly. This one, I thought, found the right balance of not sounding too young while still being light enough for an afternoon read. There’s a lightness and a style in the writing that transfers from the YA genre. For instance, as Maribeth creates a new social network for herself, her new friends have their own special quirks that the good YA writers tend to particularly excel at. And the plot is probably a little more simplified than one might expect from an adult novel, but I still got so swept up in the story that I could overlook any perceived faults like that. I think it aided to the escapism we look for in books like this. This book pairs well with fellow YA author Rainbow Rowell’s adult novel Landline – two working mothers and wives who find themselves in a crisis of sorts that causes them to reevaluate their lives. And while the husband in Landline is a more developed character than the one in Leave Me, both husbands have traits that are redeeming and attractive while still having their own faults. (The husband in Leave Me reminds me of the men I’ve fallen in love with, so perhaps I’m biased.) You’ll probably recognize yourself or your friends and family in these characters. And looking at the behaviors and patterns that developed for Maribeth to get to a breaking point of needing to runaway might give you some pause to consider if your life is in a similar trajectory. There’s some language in it, and a handful of scenes that maybe toe the line with what we might consider acceptable behavior, but nothing graphic and it certainly didn’t detract. I zipped through this book a lot faster than I thought I would, and felt enough warm and fuzzies mixed with slight dread to make for a successful and enjoyable read. I nearly read this in one sitting. Give yourself a well-deserved break and give this one a read! Like most of America, I am in love with the musical Hamilton. I am obsessed. When the original Broadway cast recording came out late September of last year, I bought it the day it came out, and pretty much didn’t stop listening to it until Christmas, when I felt I needed to listen to holiday tunes. In the vernacular of the internet, I am definitely trash of the thing. So when this book crossed my path, I immediately had to give it a read. I started it anticipating that it wouldn’t be particularly good, and was delighted to find it quite enjoyable. A quick sum-up for those of you not obsessed with the musical Hamilton — Alexander Hamilton was the nation’s first Secretary of the Treasury, a Revolutionary War vet and aide to George Washington, and previously most famously known for being killed by Vice President Aaron Burr in a duel. 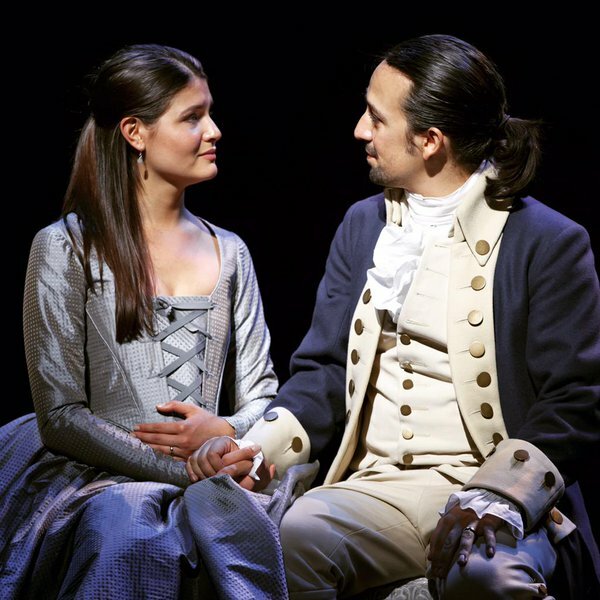 What the musical brings brings into play, and what the focus of this fictionalized account is, is his marriage to Elizabeth (or Eliza) Schuyler that produced a number of children, but was also marred by his affair with Maria Reynolds. The author had begun the research and writing of this book before the musical gained acclaim, but I do wonder if a few lines were changed here and there in the manuscript to slyly reference the musical. At least, I found it easy to slip into singing lyrics from the musical as I read, which added to the fun of reading it. And the author for sure used Ron Chernow’s biography of Alexander Hamilton as a reference. I’ve read Chernow’s book, loved it, but it is mighty hefty, and for those of us who might not have the inclination to read such a thick book, this more breezy novel covering some of the same information might be far more enjoyable. 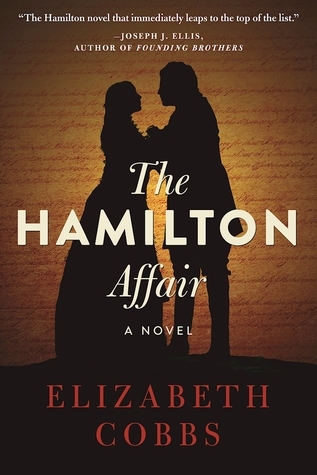 I would recommend it to any fans of the musical, or those at least mildly interested in Hamilton’s life, early American history, or just a good romantic story. It’s well-written, gives historical insights and details, and brings to life two fascinating people pivotal to the development of our country. Thank you Constance Roberts and Sweetwater Books for letting me read a proof of this book! So, I enjoy fantasy, especially when that fantasy includes a strong female with loyalty and brains. Ellory Dane is one such protagonist. She is not a simpering female waiting for someone to save her: she is a loyal daughter who takes care of her unstable father and makes potions to sell at the local market in order to support her family. Unfortunately, taking care of her father and tending the herbs keeps Ellory so busy she has no time for anything else. Desperately, Ellory even sells her hair to buy enough food and fuel to last through the winter. Between trying to keep her father alive, putting food on the table, and worrying she will never find a man to marry, Ellory has little hope that life will get better. Then one day, a rumor is spread that Ellory brought a man back from the dead with one of her potions. The king insists on bringing her to the castle to replicate the resurrection potion and to be trained by the royal herbalist. Suddenly, Ellory must learn to maneuver castle politics and hide the truth from everyone in order to survive. This story was quite a page turner with several twists in the plot. I often found myself saying ‘just one more chapter,’ and then reading another after that to see what would happen next. I enjoyed the focus on medicine and herbs, as well as the way the story examines difficult issues such as social class, addiction, political games, infidelity, and abuse. The romance is sweet and innocent, with a few funny moments—personally, I got a kick out of the closet scene. Some relationships seemed rushed to me, but all in all I felt it was a well-thought out story with an enjoyable protagonist, a great friendship between Ellory and her mentor Treya, and a sweet romance. I would definitely recommend this to someone who likes fantasy with a strong female protagonist and a compelling story line.